WION: All set for release on August 31, makers of Stree have now released a new song featuring Nora Fatehi to woo the audience. Called Kamariya, the song has music, notes, a brilliant dancer but a missing element that makes the song fall flat. 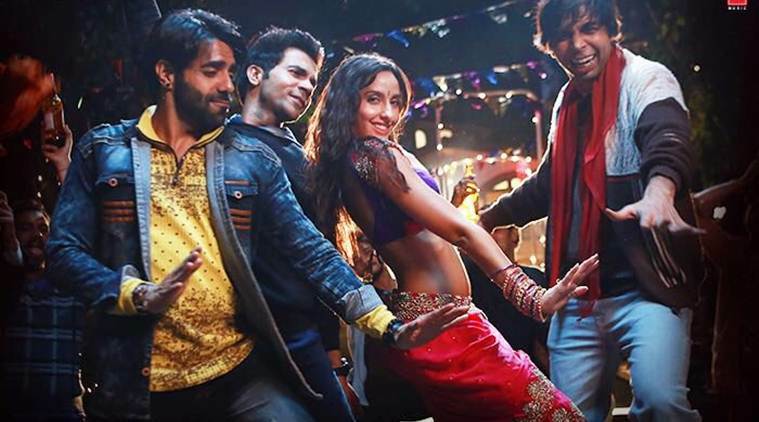 Stree stars Rajkummar Rao and Shraddha Kapoor in important roles. Set in the town of Chanderi, the story is based on a true story of ghosts and missing men. It’s is a horror-comedy directed by Amar Kaushik and is produced by Dinesh Vijan and Raj and DK. Coming back to the song, Nora Fatehi tries to bring oomph to the song but it doesn’t match up to her performance in Dilbar from the film Satyameva Jayate. Rajkummar, however, looks fun as he dances with Nora. It has been sung by sung by Aastha Gill, Sachin Sanghvi, Jigar Saraiya and Divya Kumar and is composed by Sachin- Jigar. The pairing of Rajkummar and Shraddha looks fresh on screen and has an interesting storyline. The trailer for the film released earlier last week. It also has Pankaj Tripathi and Aparshakti Khurrana. Shraddha also has Batti Gul Meter Chalu releasing next month with Shahid Kapoor. The trailer of that film will be out tomorrow. She also has Saina Nehwal’s biopic and Sahoo. Meanwhile, Rajkummar will be seen in Mental Hai Kya, Ek Ladki Ko Dekha Toh Aisa Laga, Imli among others.